For a long time I guess it never really occurred to me that there is a whole method to making the audio for slow motion videos. They sound was always so well designed that I never thought twice about it. But did you know that slow motion cameras, the good ones not that one on your iPhone, don’t actually record audio? 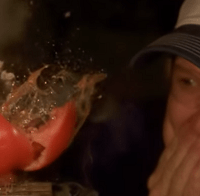 Today SmarterEveryDay on YouTube takes us through the creative process of making the audio foe slow motion footage!